‘Whatd’ya mean, no new indictments? But Trump had to collude with the Russians or he couldn’t have won the election’…blah blah blah. Fox describes the reaction of mainstream media to the Mueller Report as a “meltdown.” But the whole Mueller investigation into lies perpetuated by Democrats has been an expensive taxpayer distraction from the beginning. But the Dems plan to keep it going no matter what, rejecting the idea that Mueller isn’t going to indict anyone else. Adam Schiff vows to keep investigating because, d*** it, he’s gonna find something even if he has to ignore the rest of the country to do it. An older Trump tweet about him was misspelled as Adam “Schitt.” It fits. Maybe, Chris, because no investigator has EVER “interrogated” a sitting president, even when Richard Nixon, who was listed as an “unindicted co-conspirator,” was in office. Obama and Hillary Clinton got away with numerous ‘collusions’ and no one did squat. Mueller, Rosenstein, Comey, Clinton, Strzok, McCabe…all were friends. Participating “investigators” were all Clinton donors. Having him chosen to be the “special prosecutor” was the first mistake. His team was suspected of destroying evidence by scrubbing the texts between Strzok and Lisa Page. (OIG report, Dec 2018). The investigation was conducted by people who had political and personal animus toward the President. They hated him. They all hate him still. From the attorneys who assisted in Mueller’s investigation, to the FBI personnel involved, there was clear bias in the first place. They wanted to remove him from office because he took the throne from Hillary. They didn’t give a rip whether she committed treason several times over or not. The lack of objectivity in the investigation was like an open sore that the media kept rubbing with salt. 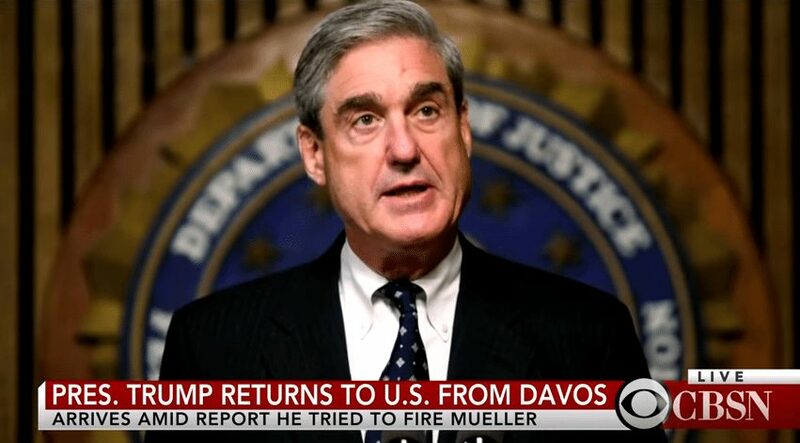 The mainstream media will continue to hate, even though a few of them were forced to admit that because no new indictments were announced by Mueller, it was good news for the President. His legal issues will not be over with this report, but at least one arm of the octopus has been severed for now. Trump won the election fair and square. Democrats, liberals, can’t accept that they failed to elect their queen. No Russians told us how to vote. No Wikileaks email release forced us to put that checkmark on the ballot. Watching Hillary stumble and cough her way through the campaign might have helped some, but the majority of us wanted someone who was strong enough to stand up to the political antics of the left. We chose wisely. Trump won. They can cry, whine, and throw temper tantrums, but they lost we won. President Trump is not perfect, but neither has any other President been perfect. They’ve all been flawed. Some were absolutely dangerous to America – and THAT is why we elected Trump. As imperfect as he might be, he loves America to its very core.